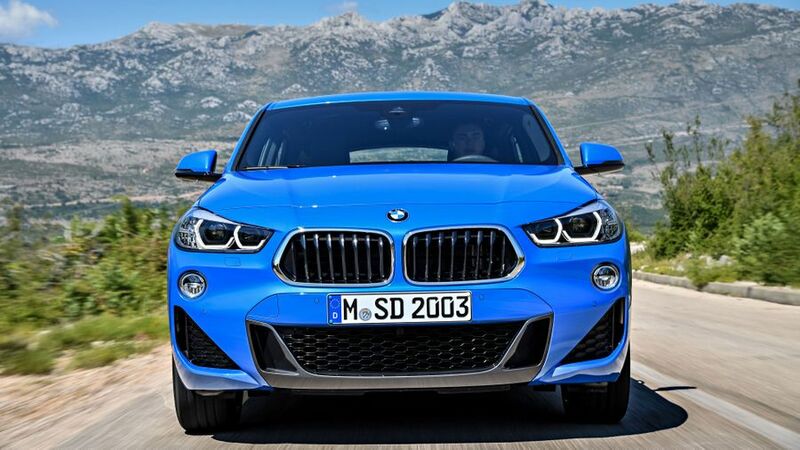 Here’s the newly revealed BMW X2. It’s a small SUV that takes the similar-sized X1, and adds some extra style and pizzazz. 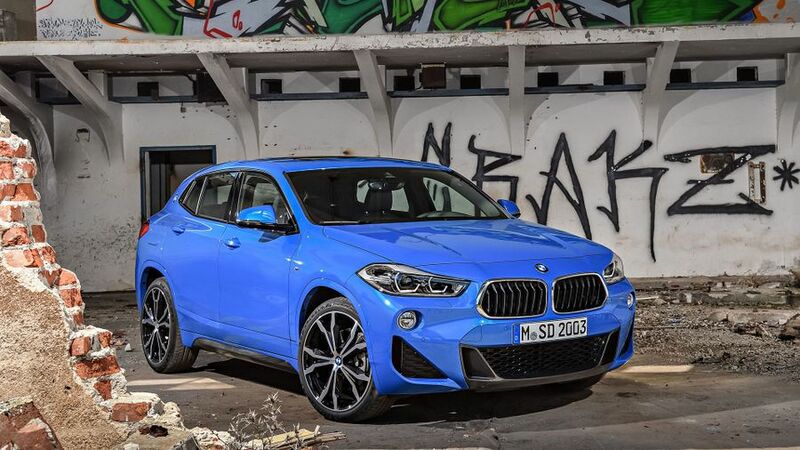 Think of the X2’s relationship with the X1 in the same way as the X6 compares to the X5 – it’s broadly the same concept, but with slightly compromised practicality in favour of more dashing looks, and more of a focus on sporty driving. BMW hopes the X2 will tempt buyers away from other premium small SUVs like the Range Rover Evoque, Audi Q3, Mercedes-Benz GLA. 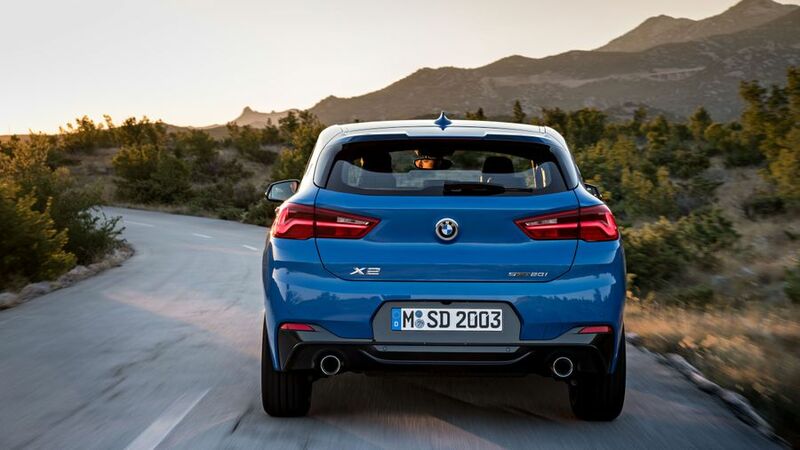 The design, like the larger X4 and X6, favours a coupe-like swooping roofline to give more of a sporty silhouette. It’s shorter and lower than the X1, even though the wheels are the same distance apart. Four trim levels are planned: SE, Sport, M Sport and M Sport X. All but the SE get extra-bright LED headlights as standard. The two M Sport models come with 19-inch alloy wheels as standard, but you can opt for larger 20-inch rims for a more blingy look. The entry-level SE model comes with 17-inch wheels. At launch, only one engine will be available. 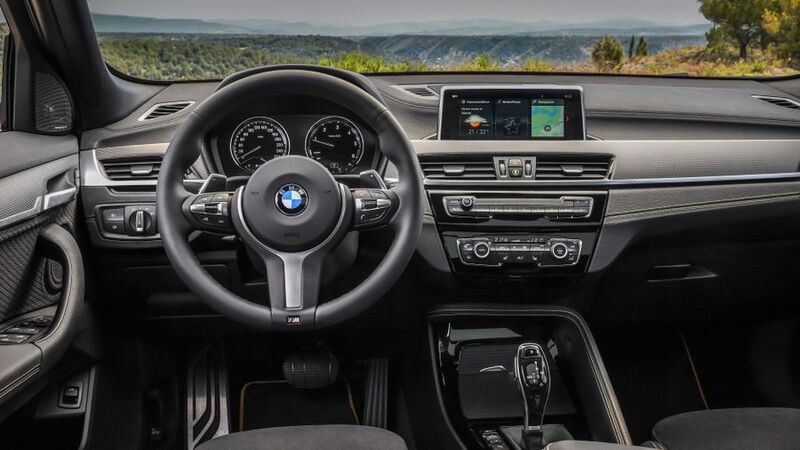 Called the xDrive20d, it’s a 2.0-litre turbocharged diesel with 190PS, offering an official combined fuel economy of 61.4mpg and CO2 emissions of 121g/km. Performance-wise, it’ll reach 62mph from standstill in 7.7 seconds, and comes with all-wheel drive as standard (denoted by the xDrive in its name). More engines are planned early in 2018, some of which will have front wheel drive options. These include the petrol-powered sDrive 20i, the diesel sDrive 18d, and an all-wheel drive version called the xDrive18d. The BMW X2 xDrive20d goes on sale in mid-November. Prices start from £33,980.